Planet earth holds such loving abundance for you. That may be hard to believe sometimes when dealing with piles of bills or feeling a lack of time, friends, opportunities or anything else. You may wonder when, beyond ourselves, we see other people, businesses and even societies struggling with poverty and turmoil. This has been the case for thousands of years. However, with today’s 24-hour mainstream news and social media, we see despair so starkly. We can be tuned into solutions and the abundant side of life and avoid the issues that are not our immediate business. Then we have more time and energy. When we manifest loving abundance in our state of consciousness we help ourselves and others. 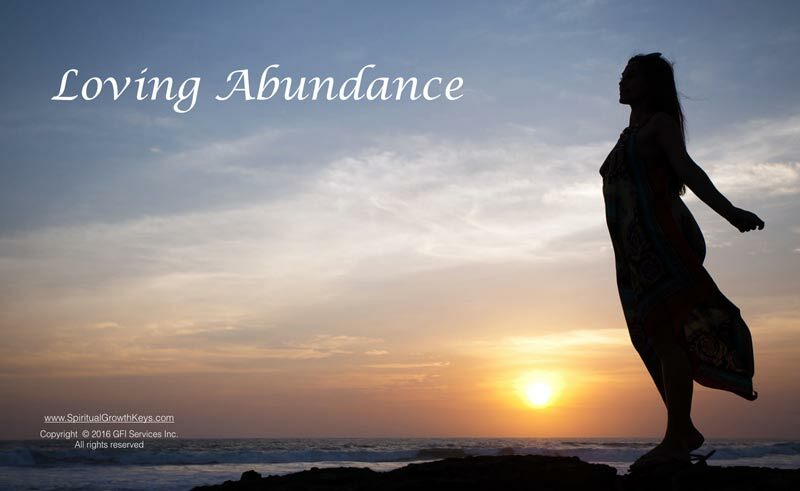 Perhaps you are already feeling abundance and prosperity in your life? That is great! If you have learned to balance your spiritual and material worlds, you may relate to the following three keys. You may even want to go further in using them. 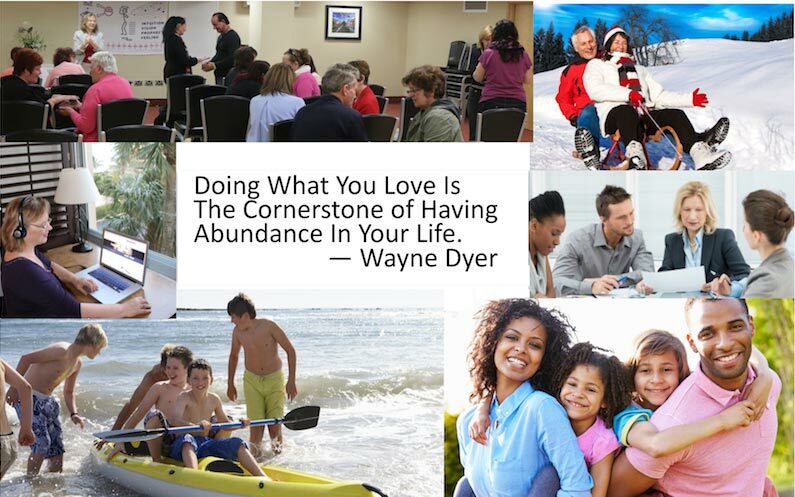 It’s up to you how much abundance, joy and fulfillment you want to experience. There is no limit. On the other hand, if you are not feeling inner and outer abundance, you can transition from “lack of” money, time, friends—you make the choice—and to an inner tranquility where we know we’ll have what we need when we need it! It all starts with this inner abundance and flows to our outer world. Some people have acquired considerable worldly wealth: a beautiful home, or number of them, a family and career. But, they may not feel inner fulfillment, love or joy. Others have a deep well of both spiritual and material abundance. They enjoy their work and physical freedom attained from financial wealth. They connect with friends, family and experience inner freedom and peace. Individuals manifesting loving abundance can deepen this level of fulfillment and enrichment. They can expand further in helping themselves and others. As they share their wisdom they reap deeper growth and inner fulfillment. Planet Earth and the Universe are awash in loving abundance. There’s enough to provide for all our physical and spiritual needs. Of course, this is provided we come from a balanced place. The following keys can assist you in enjoying all the prosperity you truly desire. 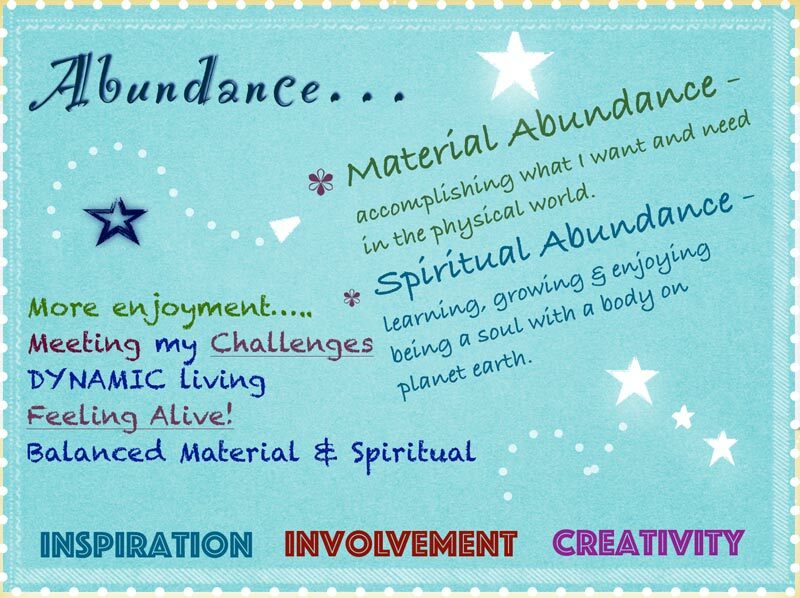 In reviewing these keys to loving abundance, notice how you’ve used them already. Can you recall an experience when you were inspired and created what you desired? Chances are, these keys have opened doors for you. You may have, or not, realized it. Most importantly, you can use these three keys to enrich your journey further. The understanding and tools available here focus on manifesting your spiritual abundance in everyday life. When you tap into a clear source of inspiration and plunge whole-heartedly into what feels is best, you will be in your flow. You won’t have to struggle, and you will enjoy greater satisfaction. We are taking about what feels good from within and not just what we think is best intellectually or is simply comfortable. Having the feeling and understanding is the way to go. Tuning into a crystal clear source for answers, inspirations and ideas opens you to the flow of your loving abundance. How do you do this? It starts with getting to know and experiencing the Real You—the good, kind, loving inner being you are. What can work against your clear inspiration is picking up self-defeating concepts. Examples of these concepts could be “I don’t have what it takes”, or “I’m not smart enough, or talented enough.” Catch those thoughts! When you choose constructive thinking, you are maintaining a clear connection with the Real You and your inner guidance. You may think you are where you are because you were not born into a certain family or don’t have connections to the right people. You tap into the most powerful connection when you unfold your clear inspiration. Understanding and using clear inner communication is key. People call this inner connection by many names: inspiration, intuition, extra sensory perception or other terms. However you define this source, know that it is available to you. Also, keep in mind that you are a sensitive being who can be influenced by the the positive and not-so-positive energy of people and your environment. This is especially true for children. They are like sponges, picking up on the thinking and attitudes around them. These mental acquisitions then play out in adulthood, unless people take time to clarify these thought patterns. You can buffer yourself from pressure, stress and negativity. The result is that you live as the Real You, connected with clear, positive inspiration. In addition, you can clarify and release conscious and unconscious concepts that keep you from the life that you have come here to experience and enjoy. This Spiritual Growth Keys website offers tools and techniques to connect with your clear inspiration and bring out more of your loving abundance. Let’s take a look at clear sources of inspiration. Who are you communicating with when you feel inspired and receive positive, serendipitous insights? You may experience a simple, clear feeling, a chill, or sense a higher energy around you. Humanity uses numerous terms to describe the source of these insights and answers. You can call this source God, collective unconscious, guides, angels or higher self, to mention a few. What’s important is taking time to tune into a crystal clear source however you may name it. From this higher source, you will receive pictures, ideas, feelings and knowings to help you. By improving your inner communication, you will know better this source of wisdom and inspiration. At that point, you are working from your own answers. You are free from the confusion and difficulties that can sap abundance and prosperity. In my later 20s (Patrick Kilhenny speaking), I dabbled a lot, trying to figure out what I wanted to do with my life. I read and attended talks. However, I didn’t get involved with much until I matured and started to be more honest with myself. It was only when I became engaged in areas that I was drawn to that I began to expand on a clear connection with myself and others. Instead of just attending lectures, watching videos and reading, I became more immersed in the experience. Most importantly, I applied what I was taught. And—it worked! When people are interested in exploring a particular area of life they often take time to gather knowledge. Before long, though, they need experiences. 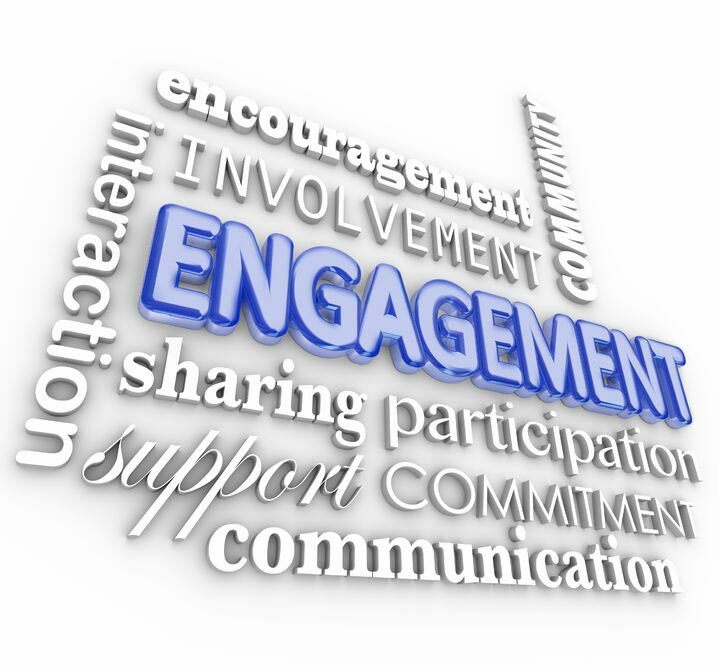 Engagement is yet another key. In this quest for loving abundance, possibilities abound! A person can spend so much time, energy and funds involved in unnecessary activities to the point of getting drained, or going broke. So, another key is to be discerning with involvements. When you make a decision based on clear sensations, your direction is coming from within you. You take charge of your life. You are the captain of your ship. As you set sail from your true feelings, you will have all the backing you need from the Universe, God, Guides, Angels, etc. (Again, use your word here). We need involvement in life. Yet when we become involved, it’s easy to be affected by pressure, negativity, personalities and headaches. It helps to take time out to regroup and keep your big picture as a soul learning and growing on planet earth. It’s important to keep your energy relaxed, positive and buffered from pressure and confusion. By tapping into clear inspiration and getting involved with your goals and dreams, you will receive additional insights and the creative energy flows. These three keys―inspiration, involvement and creativity―all build on each other. With a clear flow of creativity you more easily find answers to challenges and keep moving forward. Should you get knocked over, you have the momentum to pick yourself up. You keep going and can learn something from the experience. When you take time to regroup spiritually, these experiences become wisdom for you. Creativity: A Help or Hindrance? Creativity can serve you or work against you. When you are unclear and uncaring with your direction, it is easy to take a creative detour. 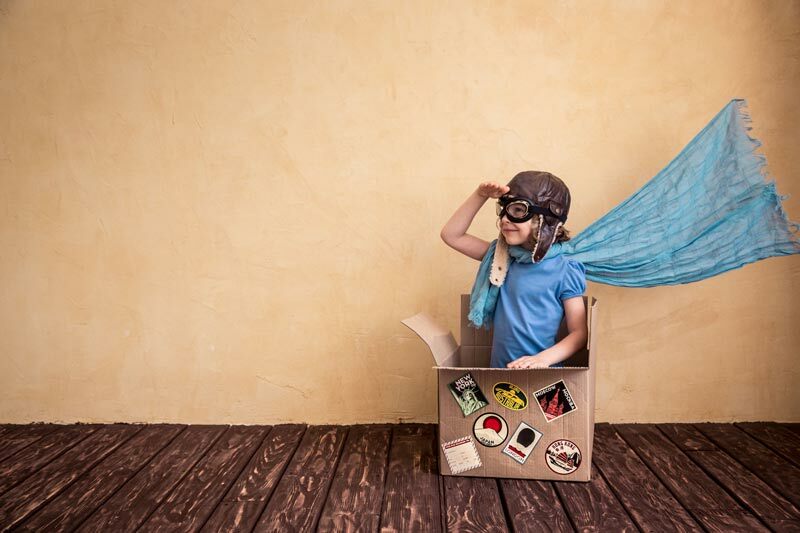 In this case creativity can be an escape from your priorities and living your life plan. Yes, it can go either way. Being open to creativity, though, can provide you with inspiration and fresh ideas. Creativity is fun! Throughout my life, I have taken occasional detours. But now, I catch potential detours faster. I make sure I tune into my sensitivity and inner guidance about what is happening and my opportunities. This self-recheck makes a big difference in staying on track. By connecting within and having a feeling for your direction in life, you will determine where you need to be applying your energy and resources. Your creativity can expand. 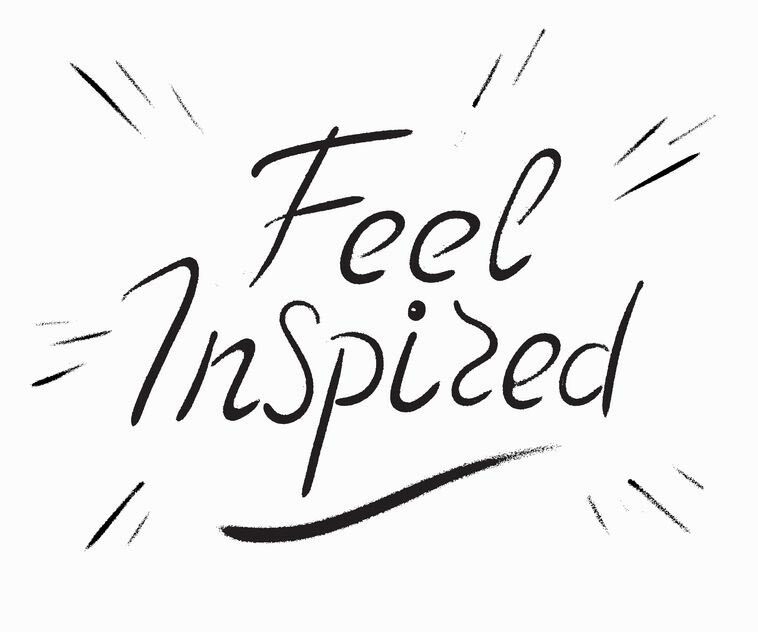 All the creativity you need is ready for you, especially when you continually tune into clear inspiration. This means that you are tapping into an infinite source of loving abundance and enjoying its many manifestations. Receive articles on loving abundance, clear inner communication, healing, living your purpose and more. You are welcome to enter your contact information in the sign-up box at the bottom of this page. Your information is never given or sold to others.